Making spaghetti sauce is one of my favorite things to make in the winter. The smell that it send through the house is so amazing. So yes we can state the obvious that it is not winter- so why in the world am I talking about spaghetti sauce. Well when you mistakenly plant 6 cherry tomato plants you have to do something with all of them so a trial of making cherry tomato sauce came about. Before I began this experiment I fished around looking at a few different recipes. I wasn’t sure exactly of my game plan when I started but I knew that I needed my end product to look like regular spaghetti sauce so I can get my husband to eat it. I did not find any recipes that looked like they would fit the bill so I figured why not experiment and see what happens! 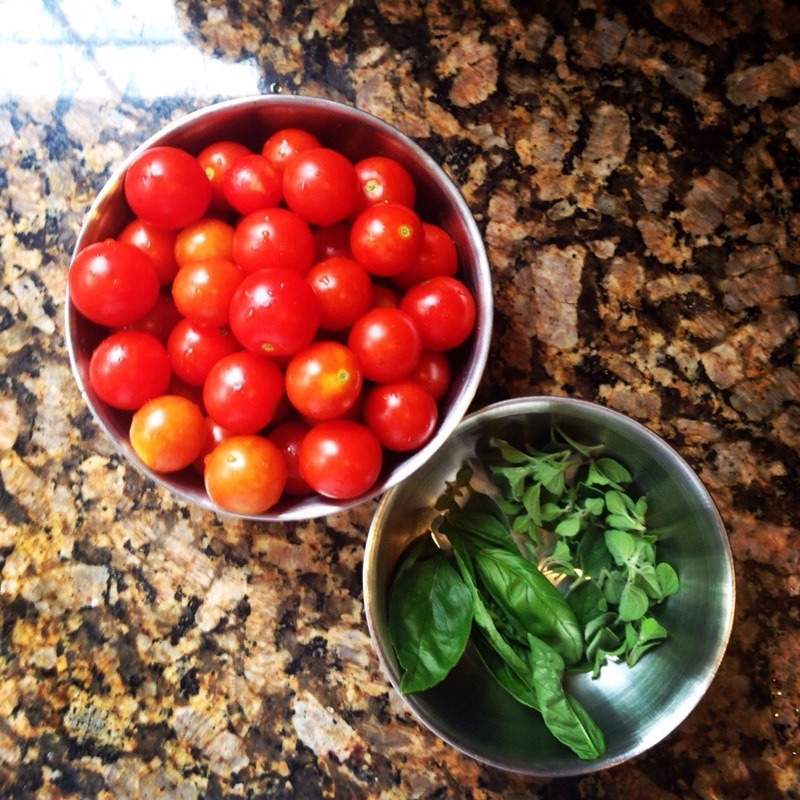 To start I went out and picked lots of goodies: cherry tomatoes (duh), 1 green pepper, 2 jalapeños, and some fresh basil and oregano. I also gathered an onion, garlic, sugar and a small can of tomato paste. 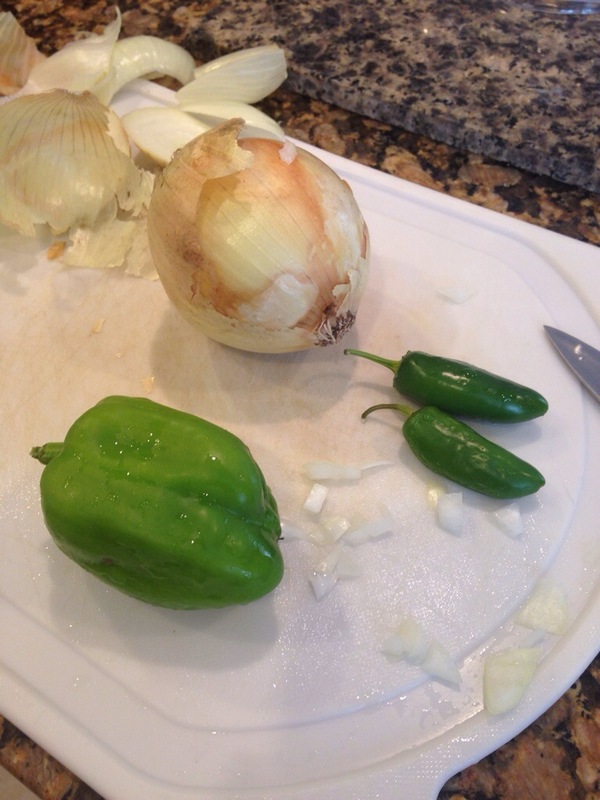 Next I started sautéing my chopped onion and green pepper and then threw in the garlic. I let that cook for a little while until tender. 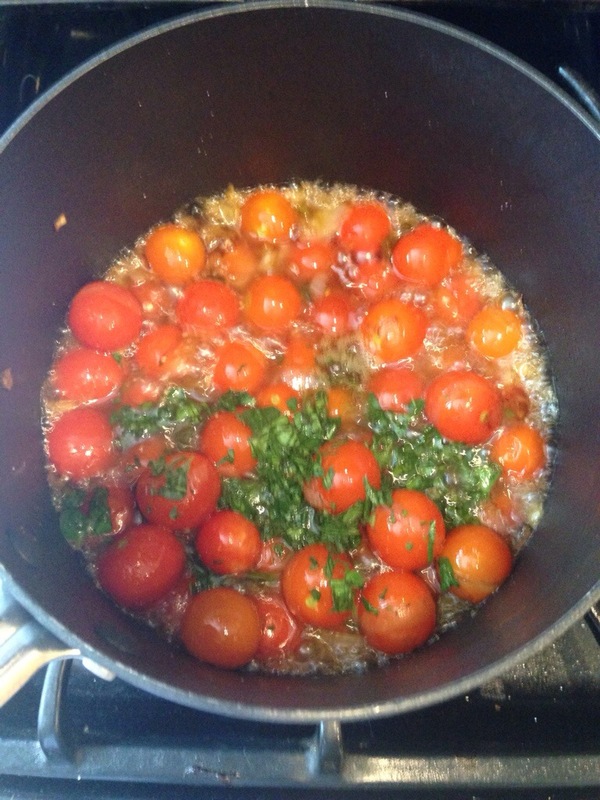 Next I threw in the cherry tomatoes. I had around 50 or so of those little bad boys. Still on med-med high I let everything cook. Next I threw in the fresh herbs and a few table spoons of sugar. I put the lid on and let everything cool. My stove gets very hot and it was actually boiling! I turned it down to low and let all the ingredients simmer. 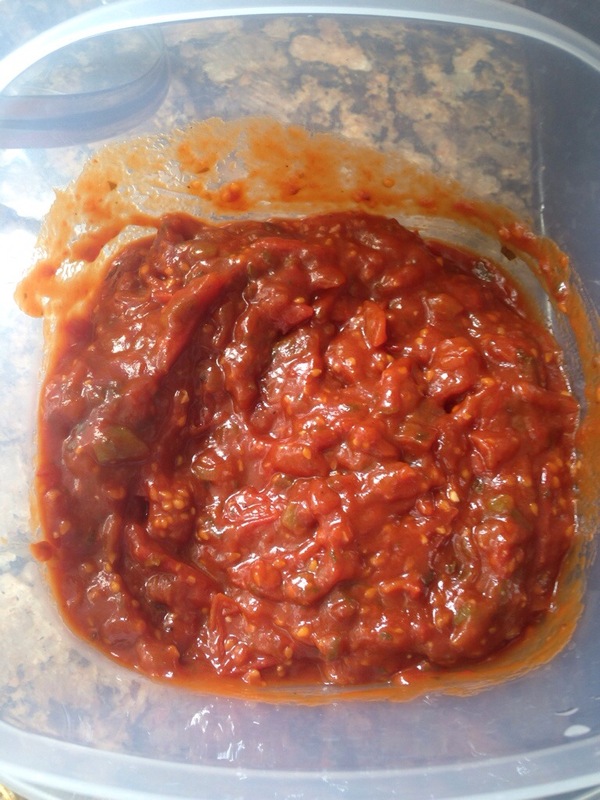 I noticed it had a very watery consistency so I threw in a can of tomato paste. That could definitely be optional but I am a fan of thicker spaghetti sauce. I moved my sauce to the back “simmer” burner and put it on low. I left it there for 20-30 minutes then turned it off and let it cool before I packed it up in a plastic container. I am happy with my end product and hope it gets the stamp of approval from the hubs. It feels really rewarding to know that the majority of the ingredients used are ones that I grew! 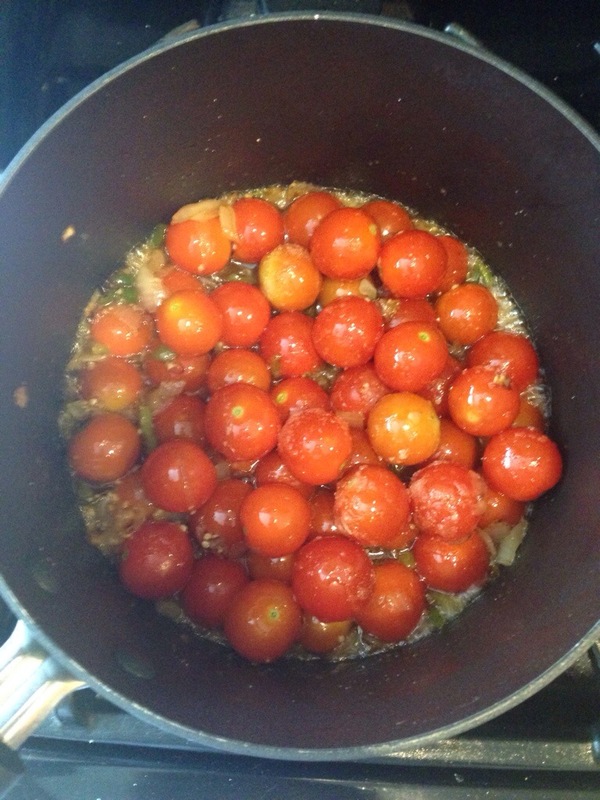 Have you ever made cherry tomato sauce? 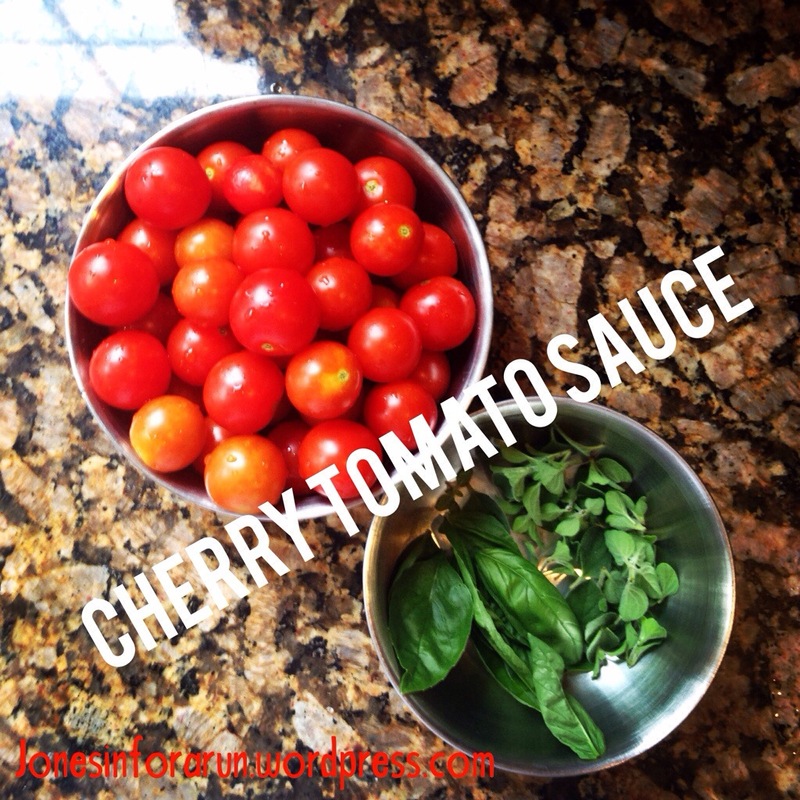 Do you have a favorite cherry tomato recipe you want to share- it’s only a matter of time before I have loads more to pick! Previous Post I count Everymove, Do you?